A CENTRELINK call centre worker who allegedly suffered psychological injury as a result of daily abuse and death threats from customers has had a bid for compensation knocked back after the claims were ruled "implausible" by the Administrative Appeals Tribunal. 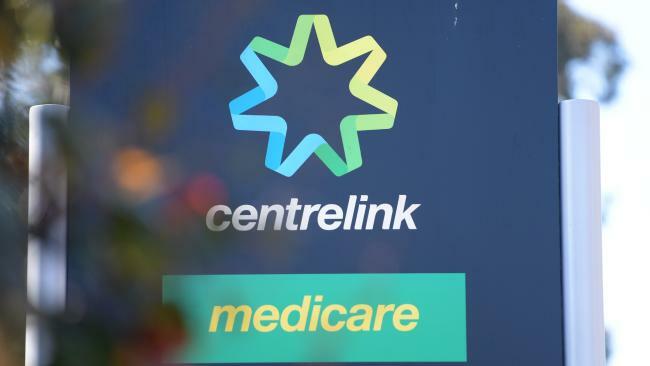 The employee, who had worked at Centrelink since 2002, lodged a claim with government insurer Comcare in 2015 relating to "generalised anxiety disorder and depression" as a result of his 12 years at the agency. "He stated that he would be called on a daily basis by abusive customers who are unhappy with Centrelink," his psychiatrist's report tendered to Comcare said. "He stated that customers 'threatened to paint the walls with my blood'. He stated that he would experience death threats via phone calls from customers." In consultations with his psychologist, he also alleged staff had been bullied and "harassed", outlining a series of incidents including "managers walking around berating staff" and "a senior staff member of 20 years being failed five times". He also alleged that "an obese female staff member who due to the fact that it took her a long time to walk to the toilet, management moved her workstation next to the toilet". "[He] reports that he experienced 'this going on around [him] and that he felt anxious seeing this and that what went on happened in the open workspace for other employees to see'," his psychologist's report said. "[He] states 'they tore this team apart in front of my eyes - it was them not me'." In clinical notes from 2012, his psychiatrist at the time wrote: "Stressed at work. Realises job is causing him much angst. Questions whether he has enough of a case for a DSP [Disability Support Pension]." A separate psychiatrist, however, was "unable to identify any specific incidents" of abuse, writing in a report that the employee gave a "relatively vague history of a gradually increasing level of distress, anxiety and depression since commencing employment with Centrelink". Another psychiatrist said there was "little evidence before me that he suffered such significant workplace stress that his employment can be regarded as the substantial contributing factor to his debilitating mental illness". Comcare denied liability on the basis that it had not been informed of the injury as soon he became aware of it - as required under the Act - adding that in any case it did not believe his employment was a significant contributor to his psychological condition. He then lodged a second compo bid, claiming injury as the result of customer abuse as well as a change in his team seating arrangements. That too was knocked back, with both the first and second claims then appealed to the AAT. AAT senior member Adria Poljak raised doubts about the claims, saying she did "not find the applicant a very convincing and reliable historian". She said it appeared he had only begun "self-reporting" the alleged abusive phone calls to doctors after lodging his first compensation claim in 2015. Centrelink said it had no records of the employee raising the issue between 2004 and 2014. "It is significant to note that at no point in these records was the applicant noted to have reported that he had been subject to abuse from clients," Ms Poljak said. "At its highest point, the applicant was recorded to have advised his supervisor on May 10, 2012 that he had experienced 'some calls where the customer had not received his decision well and their behaviour has become problematic'." Ms Poljak said it was "implausible that the applicant would not have reported his daily subjection to abusive and threatening phone calls over many years". "In regards to the assertion that the change of team/desk aggravated his anxiety condition, the evidence is again conflicting," she said. "There appears to be little or no mention of the team/desk change to numerous medical professionals. "I find it implausible that if the team/desk change was a significant contributor to the aggravation of the applicant's anxiety condition, the applicant wouldn't mention this to his treating and other medical professionals." A spokeswoman for the Department of Human Services said: "The department does not comment on an individual employee's health issues or the decisions of Comcare under the Safety, Rehabilitation and Compensation Act 1988. "The safety and wellbeing of staff is paramount to us, and any staff affected by anti-social behaviour are encouraged to report any incidents to ensure appropriate support is provided. "We take seriously the responsibility of all managers and staff to create an inclusive and positive workplace and have a variety of programs and tools in place to support staff."